People all over the world are getting into it...go check out the video at Anndi's. This will be our last post of the week. We want to wish each and every one of you here in the U.S. a safe, loving Thanksgiving. WE GIVE THANKS...for our sister Lynn and husband Kevin and niece Candice and nephew Joe. We miss you all and even though we are now further apart, we feel your love every day. WE GIVE THANKS...for our brother Rich and wife Cindy and nieces Amelia and Adele...looking forward to joining all y'all for Christmas. WE GIVE THANKS...for our aunts PattyAnn and Adele...again, we do not see you enough, but you both have always been so encouraging of all we have done and your love has always been overwhelming. WE GIVE THANKS...for our two BFF who share the same name...you two have been rocks this year and without you, we would never have made it through the rough spots...You are both going through your own ordeals now and know we are here for you both...anytime, anywhere, for anything. WE GIVE THANKS...for our other friends who we know in real life or here in the bloggosphere... We do not say this lightly...You people are incredible. You are so diverse in your likes and dislikes, yet, in my life you all seem to gel. WE GIVE THANKS...for the women and men all around the world who have made the commitment to keep our country safe and try and make it safer in other parts of the world. We hope and pray every day that those of you in dangerous areas will be allowed to come home very very soon. This is one of the songs we opened our radio show with our second year on the air in Rochester... both on the college station WITR and the local rock station WCMF..."Jessica"
It feels appropriate today since it is such a joyous upbeat number...written by Dickey Betts, from their 1973 Brothers and Sisters album, the first full studio release after Duane's death. Bassist Berry Oakley recorded "Wasted Words" and "Rambling Man" before dying in his motorcycle accident. Les Dudek – acoustic guitar on "Jessica"
Hello - happy thanksgiving Bond. And it's good to hear the happy music (though I know this track is REALLY long from playing that guitar hero game). happy thanksgiving bond. you forgot to give thanks for cake but i know you meant to!!! word to the Turkey Bond and good friends! Have a great Thanksgiving Vin Thanks to the Big Leather Couch for great articles and good music! Have a wonderful holiday, my friend. I wish you peace, love, and joy. 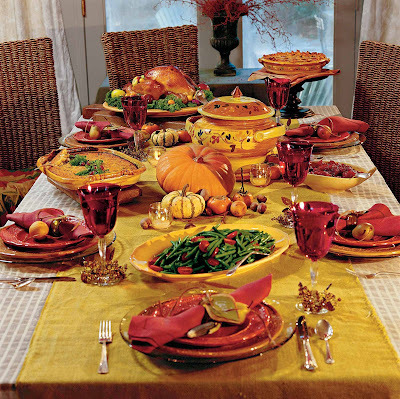 Have a wonderful Thanksgiving and savor every moment. Be safe. 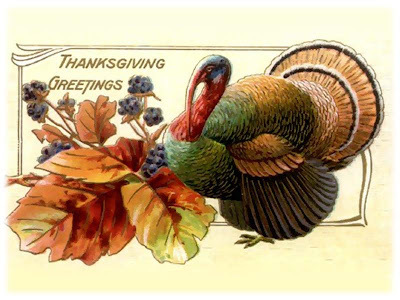 We give THANKS to a wonderful, caring son for his special blog on this eve of Thanksgiving 2007 -- and for his love and attention to his family and friends. I too have much to be thankful for. Looking forward to a wonderful day with family and friends. Thanks so much for putting up the button, darlin'. It's an interesting site. Hopefully I'll give it more press later in the week. BEE: Always thankful for cake! Have a wonderful holiday... you do have much to give thanks for. Have a Wonderful Thanksgiving, SW! Happy happy Bond...have a wonderful holiday! Happy Thanksgiving Bond, and thanks again for the song. Happy Thanksgiving Bond baby. And although I know we celebrated ours already, I want you to know that I am truly thankful for your friendship. I don't have to tell you how much it means to me. HUGS, SMOOCHES AND ALL THE GOOD STUFF (that's got no fat, and all love) hehe. I give thanks for Vinny Bond. And for turkey. In no particular order. KATHERINE: Hope you explanation of the V2 went well! and you seem to be good at math! DOC: You big softie you...I always come before turkey! It's so good to see you happy again! I can feel it! Happy belated Thanksgiving as I'm very late in trying to catch up on my reading.